My name is Professor Jenny Hocking, I am a Monash University academic and Gough Whitlam’s biographer. I have launched an historic action against the National Archives of Australia to release the ‘Palace letters' relating to the dismissal of the Whitlam government, withheld from the Australian people at the behest of the Queen. 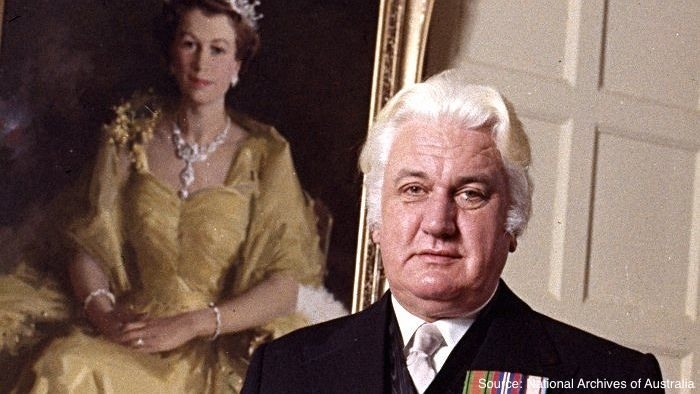 The Palace letters, secret correspondence between the Governor-General Sir John Kerr and the Queen at the time of the dismissal, are the final missing piece in the puzzle on the most controversial episode in Australia’s political history. On 11 November 1975 the Governor-General Sir John Kerr, the Queen's representative in Australia, dismissed the Prime Minister Gough Whitlam and his entire government from office. In the 40 years since the dismissal, the real story has become clearer, largely through dramatic revelations from Kerr’s private papers, held by the National Archives of Australia. There is one crucial part of Kerr's papers that remains blocked to us - ‘the Palace letters’. These are the secret letters between Sir John Kerr and the Queen at the time of Kerr’s dismissal of Whitlam. The National Archives of Australia is refusing to release these letters, claiming that they are 'private' and not official Commonwealth records. The Palace letters are embargoed until at least 2027, with the Queen's private secretary holding a final veto over their release even after that date. It is entirely possible that they will never be released. This is wrong. It should not be for the Queen to decide when we can know and have access to critical documents in our own history. We all deserve to know the truth of the dismissal and what really happened at that time. This is why I have launched an action against the National Archives of Australia in the Federal Court, calling for the release of the Palace letters. This unprecedented action will challenge the decision of the National Archives to withhold the Palace letters as 'private' correspondence between Kerr and the Queen and seek their release. A team of senior lawyers, working on a pro bono basis, is leading this landmark case. This legal action is the only avenue now available to us to secure the release of the Palace letters, the final piece in the puzzle of the hidden history of the dismissal. Australians should own their own history. 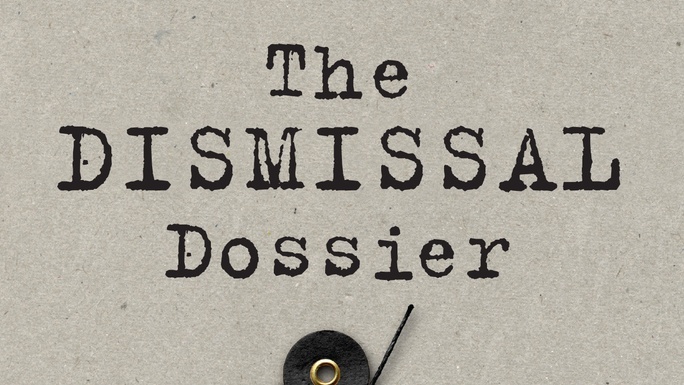 The decision to withhold the correspondence between the Queen and the Governor-General prevents us all from knowing the full story of the dismissal of the Whitlam government. The release of these letters will be the most significant addition to the historical record on the dismissal since the revelation of Sir Anthony Mason's role in 2012 in Gough Whitlam: His Time, and will fill the remaining gap in the historical record about one of the most contentious and divisive periods in our political history. After several unsuccessful attempts to access the Palace letters through the National Archives of Australia, and a Freedom of Information request to the Office of the Governor-General, I have decided to launch this unprecedented action. In reaching this decision I have been spurred by the generosity and commitment of the legal team and by public concern that we are being denied access to critical historical documents at the behest of the Queen. The case will challenge the National Archives of Australia's decision not to release the letters and the categorisation of them as ‘personal’ records. We will argue that the letters are either 'Commonwealth records' and should be released in accordance with the Archives Act; or that access to them is governed by an instrument of deposit from the estate of Lady Kerr, which stipulates they are to be released 30 years after creation. On both counts, the letters should be released. Together, and with your support, we can ensure that the full story of the dismissal of the Whitlam government will at last be known. Your support will enable this case to proceed to the highest judicial level needed for its resolution. The funds would provide some limited protection against possible cost orders and would also cover the non-legal expenses involved in bringing the case before the Federal Court of Australia and beyond if necessary. None of the funds would be spent on lawyers’ fees as the lawyers involved have all donated their time to this case on a pro bono basis. As a private individual without the resources of government, confronting the vast resources of a national institution, these funds would primarily provide me with some limited protection against any possible cost order. A small amount would cover the non-legal expenses of bringing the case before the Federal Court of Australia, including meetings with the legal team and attendance at the court. This Federal Court case is the end point of many years of research. Its success would mean that the secret correspondence between Sir John Kerr and the Queen, without reference to the Prime Minister, at the time of the dismissal of the Whitlam government is at last made public. The case is expected to be brief, in which case the decision of the Federal Court could be made within a matter of months. This action against the National Archives of Australia commenced in the Federal Court of Australia in December 2016 in an effort to secure public access to the ‘Palace letters’ between the Governor-General, Sir John Kerr, and the Queen at the time of the Whitlam dismissal. In March 2018 Justice Griffiths ruled that the Palace letters are ‘personal’ and not Commonwealth records, effectively denying public access to them and continuing their embargo by the Queen. In April 2018 I lodged an appeal in the Federal Court against that decision. Prominent Sydney barrister Bret Walker, S.C., will lead the appeal before the full bench of the Federal Court with Tom Brennan, instructed by Corrs Chambers Westgarth, all working at no cost to me. In June 2018, we secured an important decision on costs from the Federal Court of Australia, with the Court making a protective costs order in the appeal. The protective costs order caps my adverse costs exposure and removes a significant financial barrier to the progress of the appeal. This stage of the campaign is to raise a further $20,000 in order to provide some protection against possible costs requiring this capped amount be met. I remain determined to end the Queen’s embargo over the Palace letters and to ensure access to all relevant material regarding the dismissal, one of the most contentious episodes in our history. Should any funds not be expended they would support a 3-year scholarship to enable a young scholar to explore the implications of this secret communication between the Governor-General and the Queen for the role of the monarchy in Australia today. That research would reappraise the post-colonial relationship between Australia and Britain in light of the divided institutional protocols and the conflicting accountability of the Governor-General, already apparent from what we know of Kerr's letters to the Queen, and from the subsequent response of the Palace to the dismissal. The guided study program would be the final stage of my long-standing research into the dismissal that has already comprehensively recast its history. I am an Emeritus Professor and academic at Monash University and have been researching and writing in the area of Australian politics and history for many years. For ten years I worked on a 2 volume biography of Gough Whitlam, Gough Whitlam: A Moment in History and Gough Whitlam: His Time and it became clear to me that much of what was known as the history of the dismissal was simply wrong. There was a hidden history yet to be told and much of it was found in Kerr's private papers in the National Archives: Kerr's secret interactions with High Court justice Sir Anthony Mason for instance which had been secret for 37 years, were discovered in Kerr's papers and published in Gough Whitlam: His Time. The Palace letters are of the greatest significance in this still unfolding history of the dismissal of Gough Whitlam. They are the last of the secret documents in Kerr's papers that remain kept from public view. It is not acceptable that the Queen continues to have the final word on whether the Australian people can see such important material that is central to our own history. The Palace letters should now be released. This project will allow that to take place and the history of the dismissal to be complete. Please help release the Palace letters in any way you can and share this link on social media. Help reclaim our history! 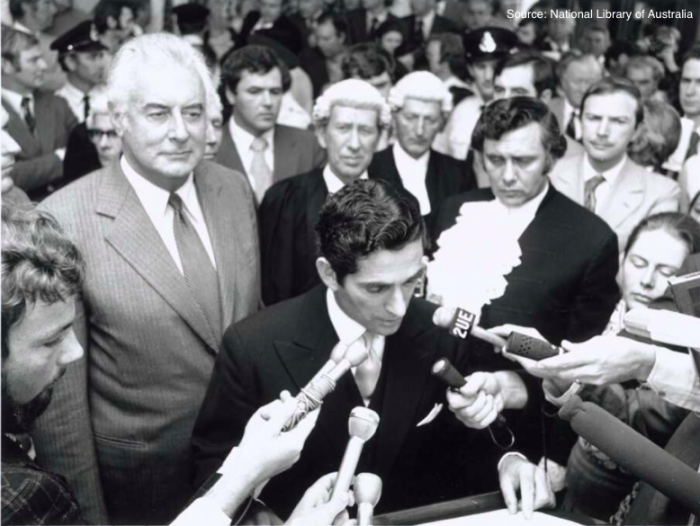 Support an Appeal in the Federal Court to ensure the release of secret letters between the Queen and the Governor-General on the 1975 dismissal of the Whitlam government. In this compelling political thriller, Gough Whitlam's award-winning biographer Prof Jenny Hocking, reveals the fascinating hidden history of what really happened when the Governor-General spectacularly dismissed the Whitlam government. You will also be supporting a Federal Court case against the National Archives of Australia to release the secret 'Palace letters' between the Queen and the Governor General on the dismissal. You will receive credit in the publication of the Palace letters and regular updates on the progress of the case.